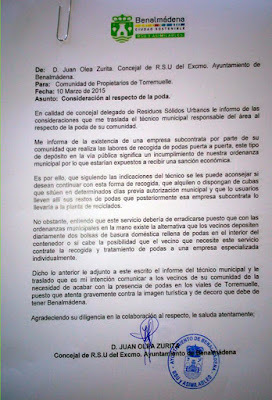 Last March 2015, Juan Olea, the councillor, with responsibility for Solid Urban Waste, sent a letter to the president of the General Community to communicate that "the existence of a company, subcontracted by your community, that carries out door-to-door collection of pruning waste; this type of deposit in the public route means a non-compliance of our municipal ordinance, therefore you would be exposed to a financial penalty". 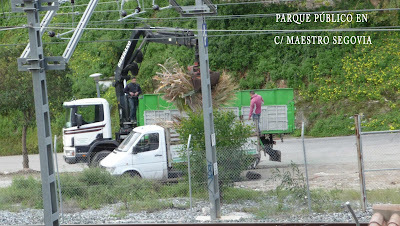 In the same letter, the councillor warns that "this service should be eradicated, given that with the current municipal ordinances the alternative exists that the residents deposit two domestic rubbish bags full of pruning waste on a daily basis, inside the container or if possible that the resident who needs the service contracts the collection and treatment of pruning waste from a specialised company individually". 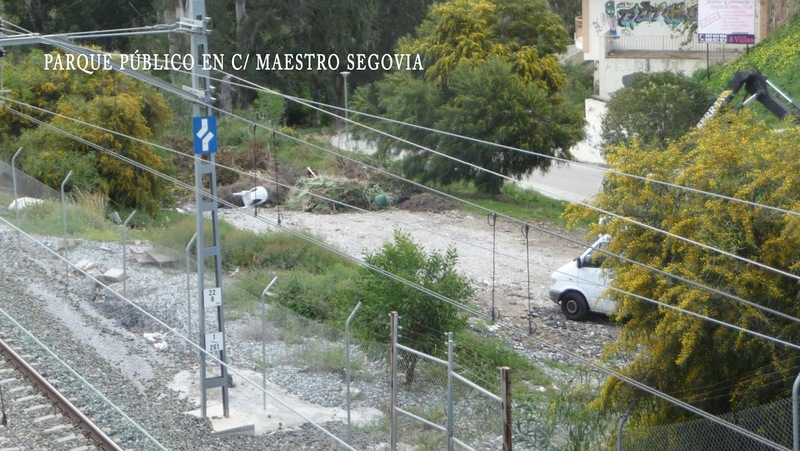 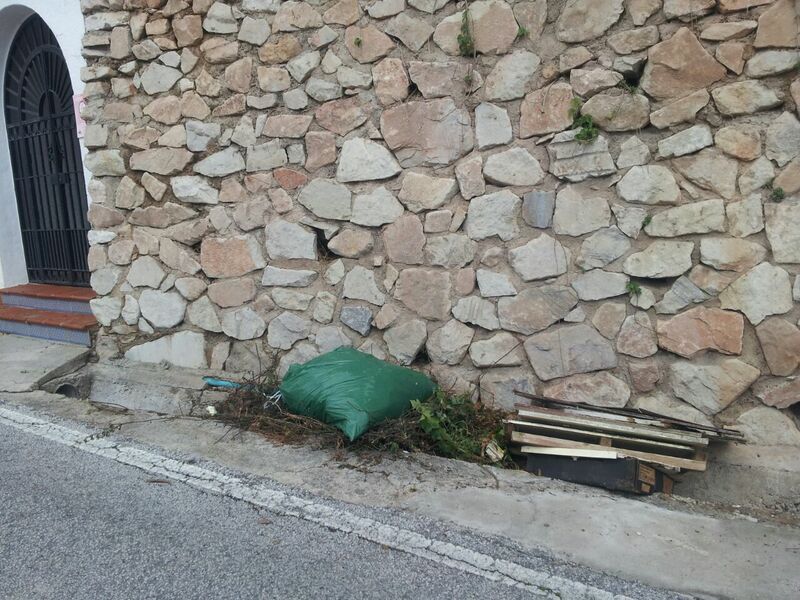 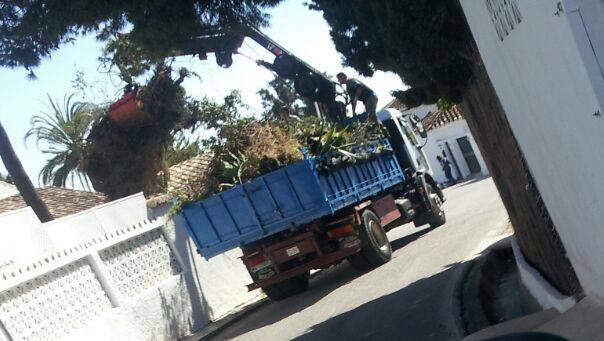 The councillor makes clear "the need to put an end to the presence of pruning waste on the roads of Torremuelle, as it severely disrupts the tourism image and the decorum that Benalmádena should have". 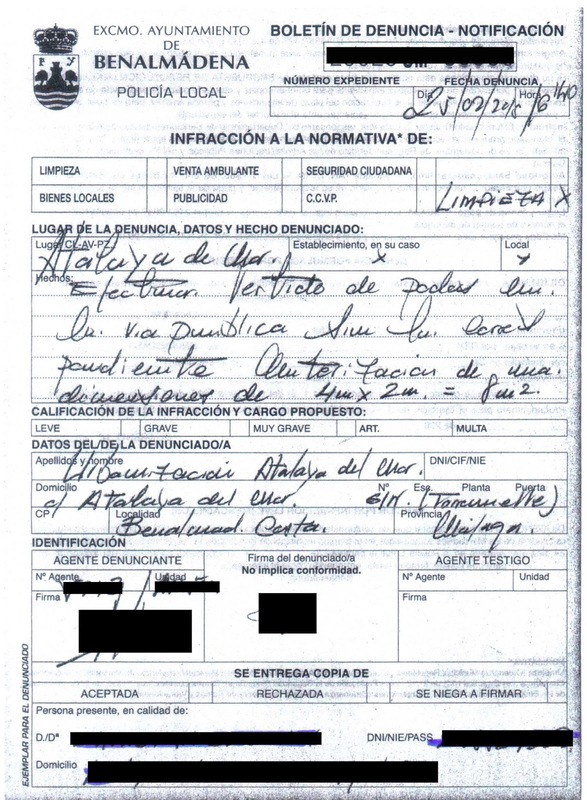 The same way, indicate that the local police has token action to impose a sanction on all neighbours or micro community who does not keep municipal ordinances, as has happened to the micro community "Atalaya del Mar" which has been sanctioned with a thousand euros to deposit pruning waste in the public route (although in the Assembly of the General Community was agreed to deposit the pruning waste at the end of the month). 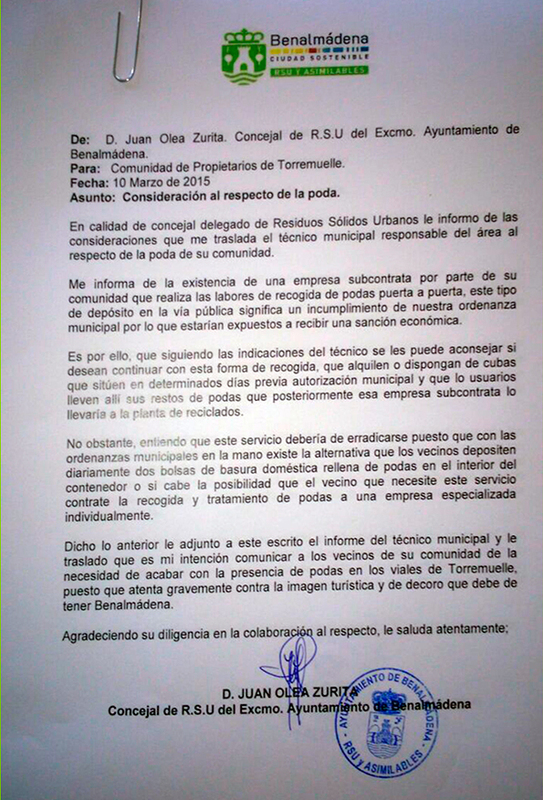 This action of the local police makes clear that the General Community of Owners is doing works that does not conform to laws and regulations. We take this opportunity to point out that the company, subcontracted by community, that carries out door-to-door collection of pruning waste is creating illegal landfills, on both sides of the railway, again. 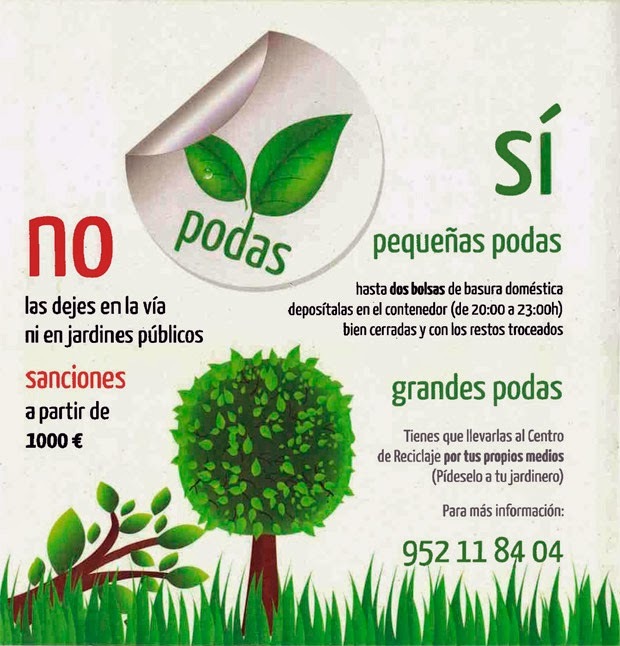 This illegal action will cause the General Community to be exposed to a financial penalty again.